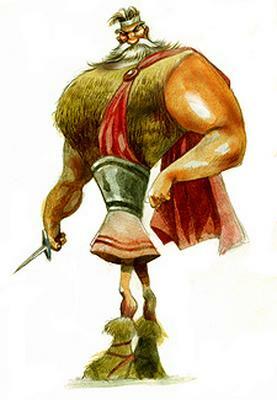 According to several historians of the XXth century, Corocotta (yes, I realize my domain only has 1 T... the other domain has already been taken) was a Cantabrian warrior leader during the 1st century BC. His great achievement was the union of the disperse Cantabri clans in an alliance against the invading Roman armies, to the great exasperation of the powerful empire. He fought against Rome from the years 29 BC to 19 BC. The Roman historian Dio Cassius relates the story of this robber who caused numerous difficulties for the Roman Army. Such was his fame that during the campaign of Emperor Augustus in Cantabria from 26-25 BC, a price of 200,000 sestercii was put on his head. To the emperor's astonishment, none other than Corocotta himself walked into the Roman camp, presenting himself and demanding the reward. In a gesture to Corocotta's bravery, the Augustus let him go after granting him the money.